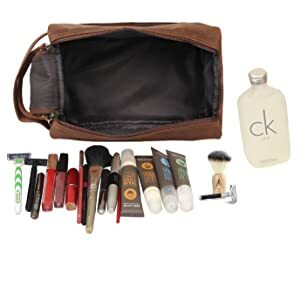 ✅ Stores Deodorant, Shaving Cream, Razor, Cologne, Comb, And Many More Items! If you love products that leave very little impact on the environment, the range of leather goods from Rustic Town will leave you impressed! 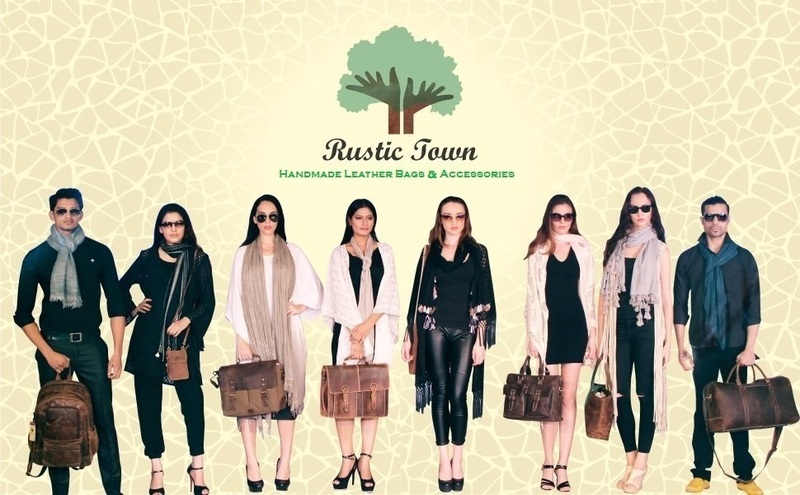 Crafted by the desert people of Rajasthan, India, Rustic Town's handmade leather bags and accessories are carefully crafted using traditional techniques and by skilled artisans to ensure absolute perfection. These leather goods are made from goat and buffalo leather using 100% environment friendly methods, making them completely recyclable. Each of these vintage leather pieces boasts a rich artistry and craftsmanship. Although the goods are handcrafted, they don’t compromise on style. 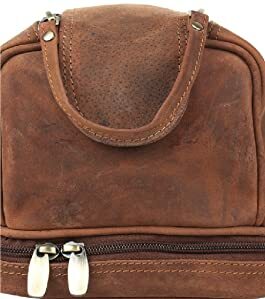 Vinyl and plastic toiletry organizers pale in comparison to a quality leather counterpart. 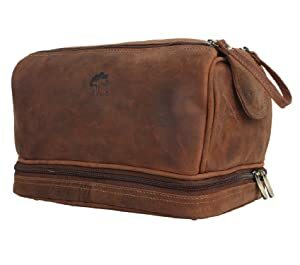 This Rustic Town toiletry bag is handcrafted from 100% genuine thick buffalo leather that last through time. 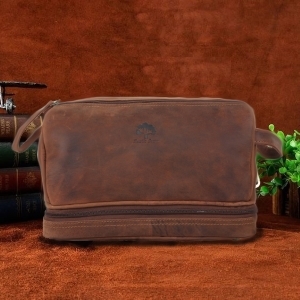 The leather, treated using traditional tanning techniques and polished off with vegetable oils, flaunts a soft glow, unique texture and is water resistant. 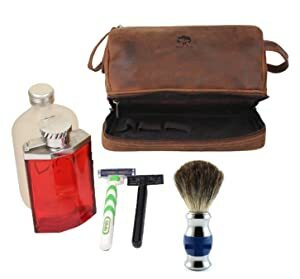 This leather toiletry travel kit is stitched using high-quality thread for long time use. It features sturdy & durable YKK zippers and a soft inner lining to keep your items protected. It boasts a two-tone finish, contributing to its vintage appeal. Also, this pouch has a carry-on handle at the side that lets you carry it around easily. Use it to keep all your essential bathroom supplies in one place while travelling, or use it at home to store your craft supplies, small tools and other items.